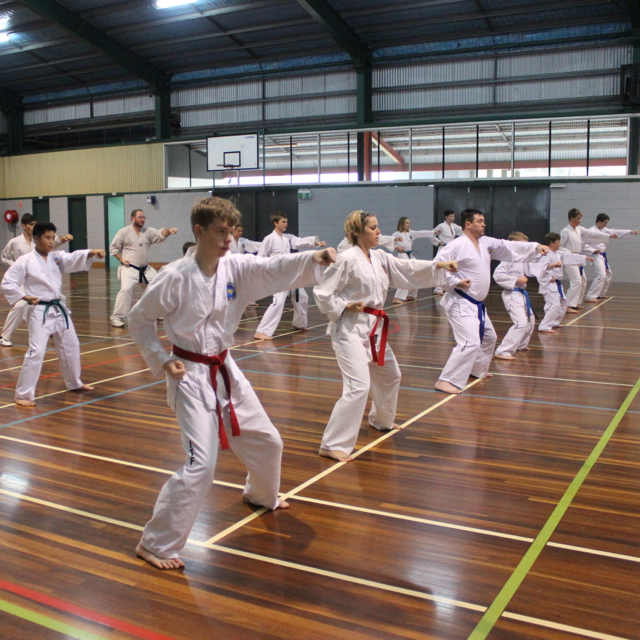 Mr Evan Pritchard teaches at ITFA North Rockhampton. He started teaching at this location in 2013, taking over from Mr Doug Swain who established the class in 2000. The venue is the North Rockhampton State High School main Hall on Berserker Street, Berserker. 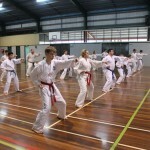 The class teaches all aspects of Taekwon-Do including patterns, sparring, self defence, destruction and terminology. Regular training nights are Monday and Thursday, with Black Belt/senior classes on Tuesday nights. The regular classes cater for children and adult beginners from 6 to 6:30pm (seniors welcome to attend). Then there is a combined class for all ages and levels from 6:30 to 7:30pm. Juniors then bow out and seniors continue training to 8:15pm. Tuesday night Senior/Black Belt classes generally commence at 6:30 and end at 8:00pm. This class is held at the Performing Arts hall on Simpson Street. The venue is around the corner, but still within the school grounds. This class is held for seniors and is specifically designed for their syllabus and training needs. The training year commences the 2nd last week of January and we train throughout the year through to the 2nd week of December (inclusive). Training still runs during school holidays, however the hall is closed on Public holidays (no training these days).